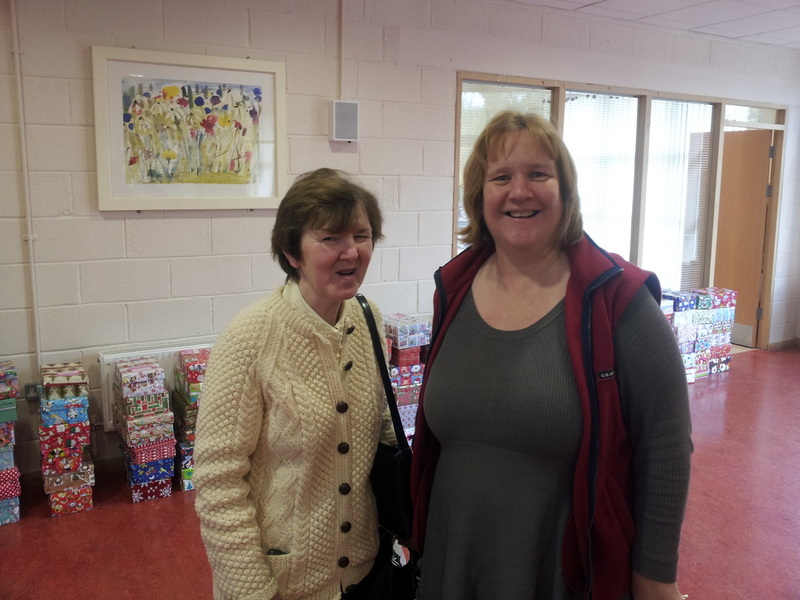 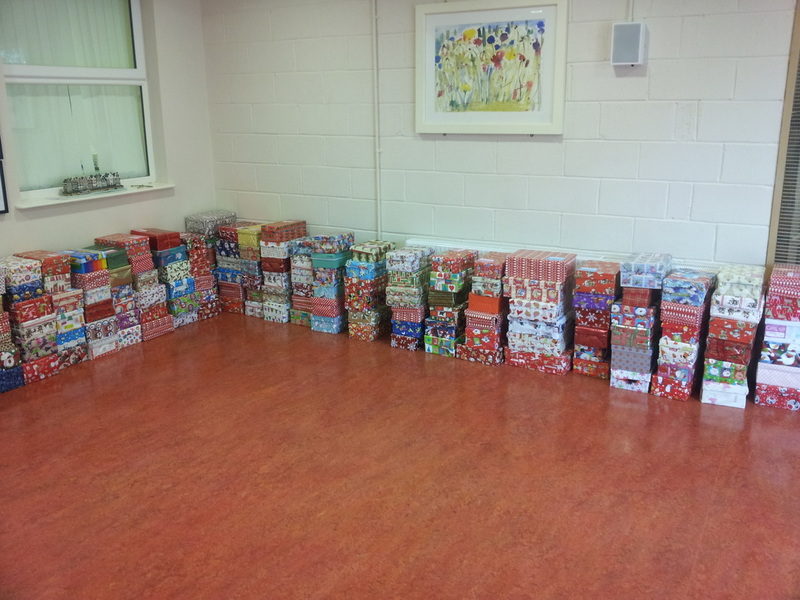 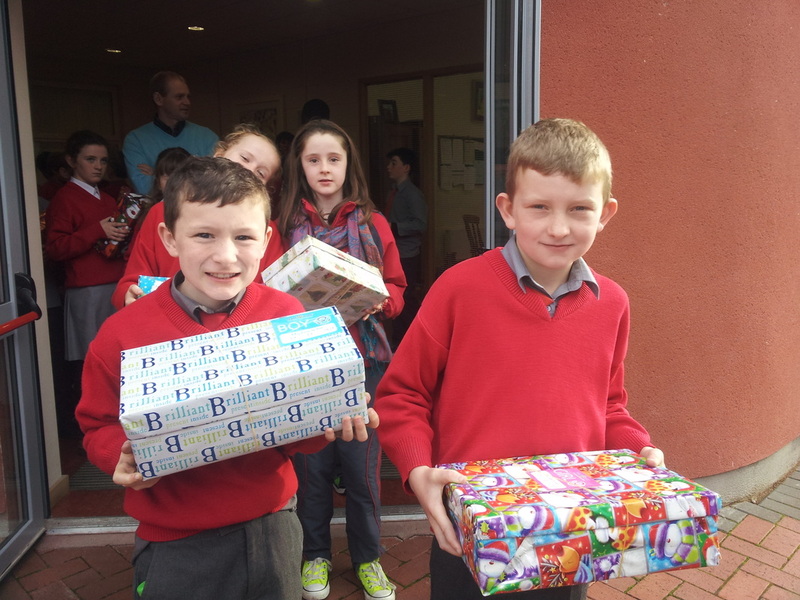 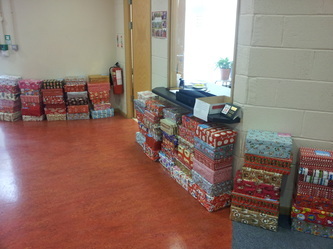 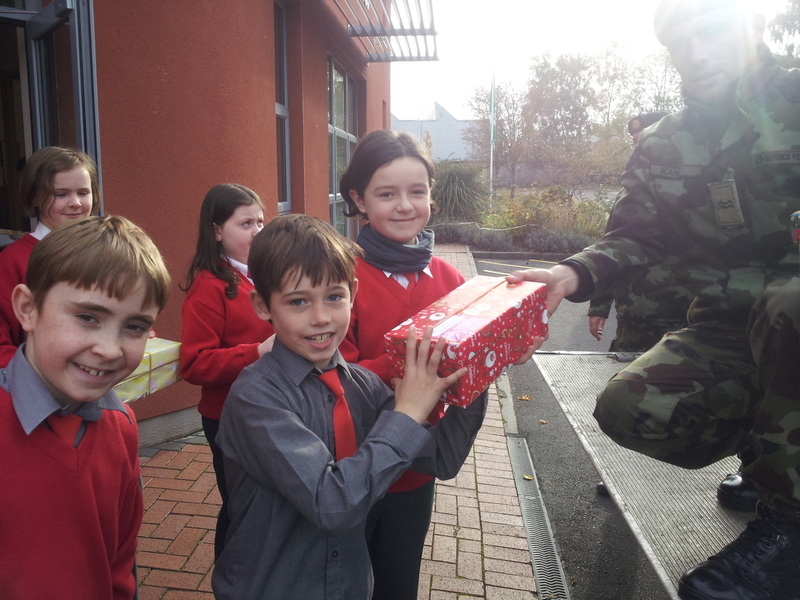 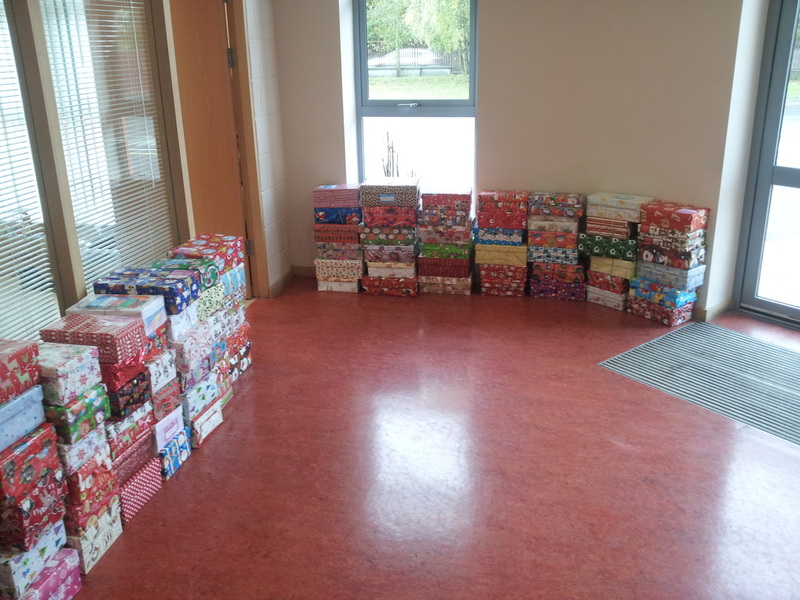 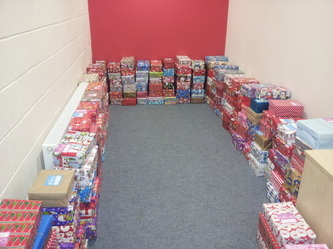 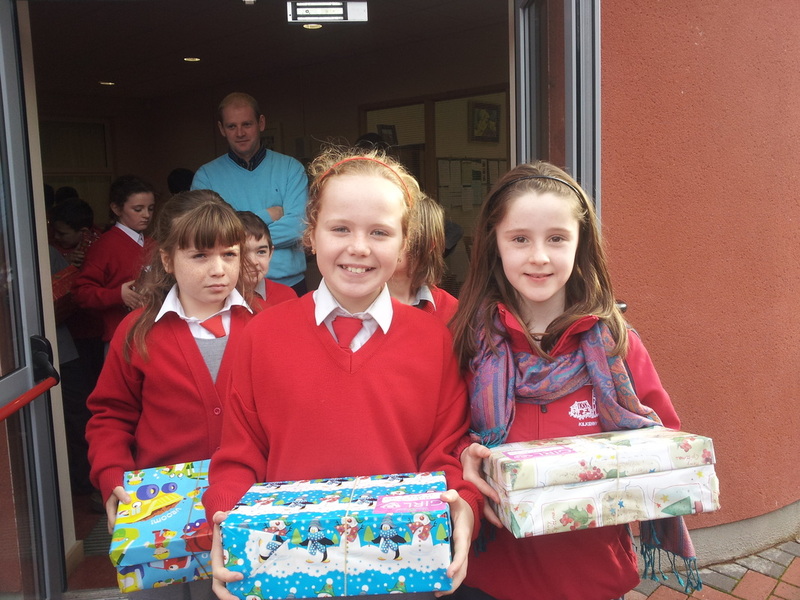 Every year the children of St Canice's participate in the Shoebox Appeal. This year they brought in over 500 shoeboxes. 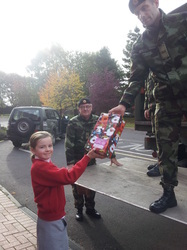 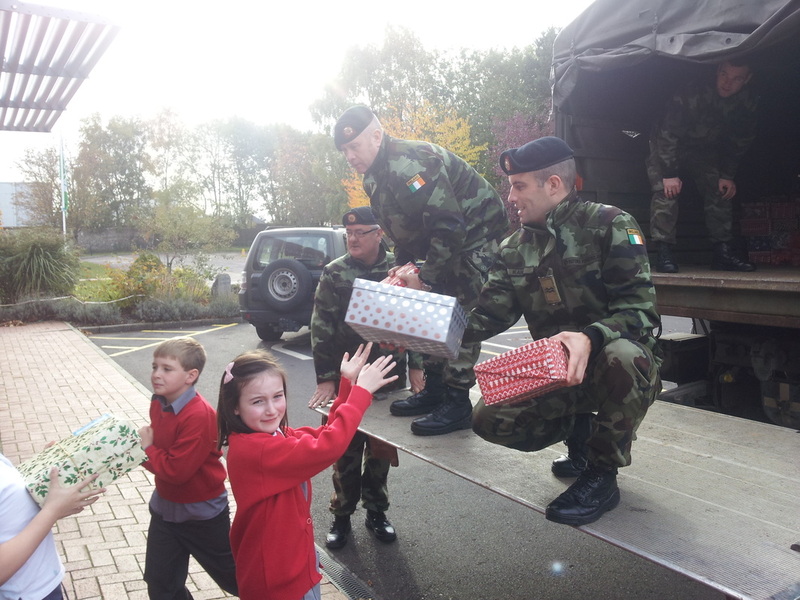 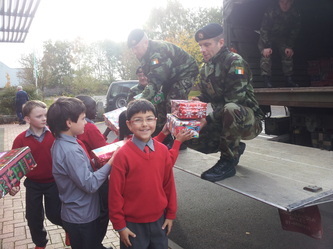 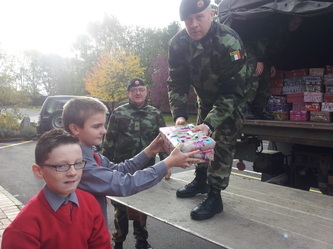 Here are some photos of the day the army truck came to the school to collect the boxes.